New Product Announcement!Here at The Dust Patrol, we are all about keeping the sensor in your D-SLR and Mirrorless camera dust free. The Phi Dust Catching Disc isn’t a sensor cleaner, but a tool that will help keep some of the dust from reaching your sensor. 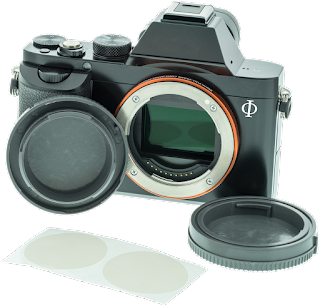 By placing a Phi Disc in the body cap and rear lens caps of your cameras and lenses, they collect the loose dust that is floating around.The Phi Disc is 1.5” round and consists of 3 layers. The center layer is a polyester film carrier that doesn’t stretch. This helps keep the shape of the Phi Disc and makes it easier for removal when the time arises to replace it. The two outside layers are of a high performance acrylic adhesive which helps it adhere to the inside of the cap and to trap the floating dust.The kit contains 4 Phi Dust Catcher Discs and full color printed instructions. So just why do you want a clean sensor? 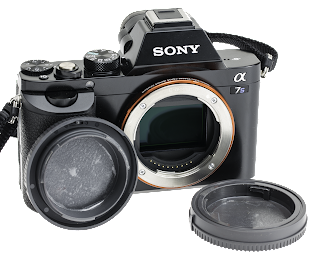 Cleaning your sensor only takes minutes, just a fraction of the time you spend removing sensor dust in post processing. Having a dust free sensor provides you with the sharpest possible image that your sensor and lens combination can capture. 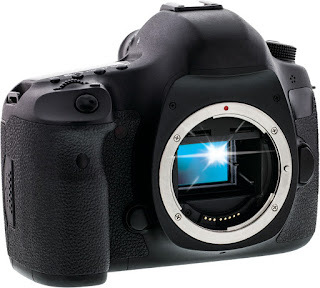 If there is dust on your sensor, it is degrading the quality of your image even if you can’t see the hard specs. Dust always works as a diffuser and softens an area of your image. In certain circumstances, it will even leave a dark speck in your image. Content Aware Fill works wonders, but it takes time and still isn’t as sharp as if you would have had a dust free sensor to begin with. The sensor shakers use double sided tape to try to collect dust once it shakes loose so why not put some double sided tape in your rear and body lens caps? The mirror-less cameras will benefit from this the most as their sensor is exposed to the elements 99.9% of the time.